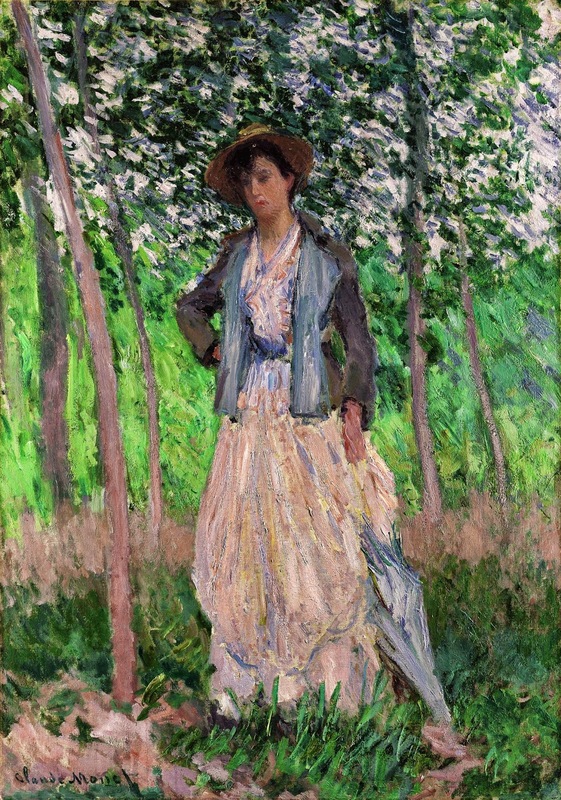 This painting of Suzanne Hoschedé in the meadows just south of Le Pressoir, Monet's home at Giverny, was probably made in the summer of 1887. She became Monet's preferred model in the period after the death of his first wife, Camille, in 1879, and before 1890, when he gave up plein-air figure painting. The model was the daughter of Alice Hoschedé, whom Monet married in 1892.